420 College 2 Day Seminars are for YOU!!! ALL the important “Stuff” to help insure your success! How to start a marijuana dispensary. How to start a marijuana delivery service. How to legally grow marijuana for patients. Register for $250 per Student | Live Event 2 Days FULL of Info! All Required Forms Are Included | On-Going Support! Marijuana Business – THE VERY NEXT DAY! All the required documents, a step-by-step guide, and class information provided is really all you need to start your basic patient garden, a small, local farm co-op or simple marijuana delivery service – you can use the forms we provide to you in class to file for your basic private members only marijuana collective, yourself! ADVANCED MATERIALS COVERED in Class! No “Entry Level” Class Required! 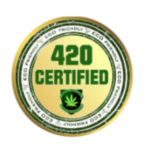 420 College Knows EXACTLY What INFORMATION You Need To Get Started NOW and We Also Value Your Time and Know that IT’S VALUABLE – No Other Classes Are Required – 2 Intense Days – From 0 to 60 – Straight to Business! No “basic classes” before learning about how a business works AND we also include basics on cultivation, growing, harvest, processing, packaging, use and give you our favorite recipes!!! You get valuable details, forms and connections to medical marijuana industry resources you can use IMMEDIATELY to start and grow your medical marijuana business. Classes Fill Up FAST – RSVP Required! Medical Marijuana Class Read More …. Cannabis Dispensaries, co-ops, collectives, clubs and delivery services are SHUT DOWN every day because the groups operating them are doing business contrary to law. 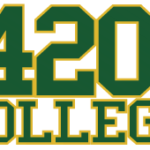 420 College’s primary objective is to – first and foremost – provide the facts of the law – period. Types of business structure to use to start, compare different types of careers. Create step-by-step plan to start your weed business. Marijuana business permits and other marijuana business paper work needed. You will also get all forms are necessary to start and run your cannabis business. Where are the best locations to open your business. Where to go to get what you need. Not for Profit and Non-profit options. Bookkeeping for a marijuana collective. Difference between Medical Marijuana Business and Agricultural Marijuana Business. Bookkeeping and paying taxes. for a marijuana business. Objective: to educate students on history, facts, and statistics about illegality of marijuana. We cover what type of physician or doctor’s recommendation “certificate or letter” is required, by the state or locality, to be in the possession of THE MEDICAL MARIJUANA PATIENT FOR VERIFICATION and what you must do with this information. As a collective, coop, club, delivery service, dispensary or “other” – you must operate within the specifications of the local law which requires that specific forms and procedures be followed to verify a patient, to validate the authorization to grow (as a collective farm for “many”), as a commercial operating “farm” for larger collectives (more than 50 people). Contact information for organizations and groups that can help advocate the use of medical marijuana in your area are available, to all Alumni, online. ** Contact information from local doctor’s, that provide patient consultations and referrals, will be provided in your handouts, when available in your area. COOKING – EDIBLES – RECIPES! Cooking, Edibles And Extracts: Use your medicine by other means. Use in Cooking, Salad Dressings and Drinks. to Reach Out and Meet Others like you who are just getting into the industry. You WILL After a 420 College 2 Day Event. Our classes are an excellent place to find like-minded people that are working towards similar goals! Various Alumni Mixers And Resources: get off on the right foot – if it comes together – go out to lunch or make an effort to meet after class for time to meet and greet other seminar attendees. Local MIXERS and other events are not always possible – take the time to exchange contact information and make it a habit to visit each other! Hang Out With Experts – Advice and instructions from seasoned veterans in the field with years; and most with generations; of knowledge and know-how. WHY COME TO AN EVENT?